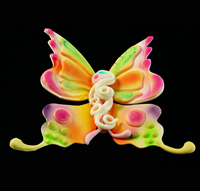 The butterfly’s symbol finds several applications in confectionery decoration, thanks to its elegance, its lightness and to the color effects on its wings. 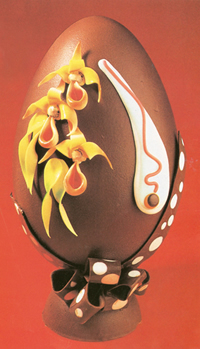 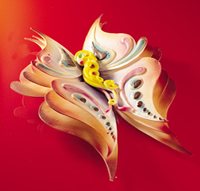 Following Tonti’s teaching, this subject comes out from the bi-dimensional condition of a plain decoration, turning into a fluttering décor, interpreted in marzipan, in sugarpaste or in plastic chocolate. 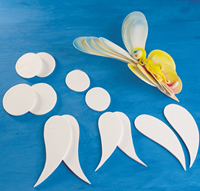 Starting from the basic instructions reported here, it is possible to make butterflies of different styles, moulding the wings at pleasure, and decorating them with different shades using the air brush. 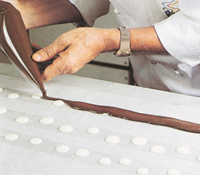 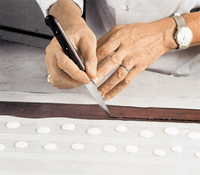 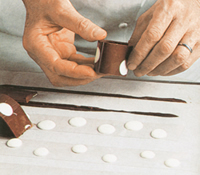 For the body you may use the “all round” moulding techniques applied to marzipan. 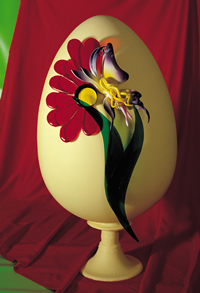 Start from a smooth sphere (obtained by pressing and kneading well the marzipan before moulding it), which forms the head. 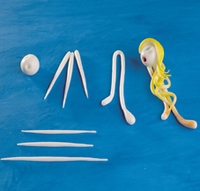 Making a rotating motion with a specific stick, you can mark the eyes and the mouth on it. 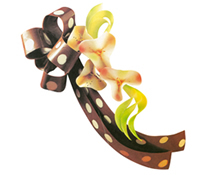 They can be highlighted with some air-brushed yellow, which can be used also for the hairstyle, obtained from another sphere. 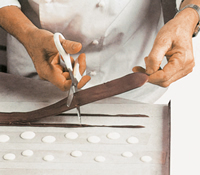 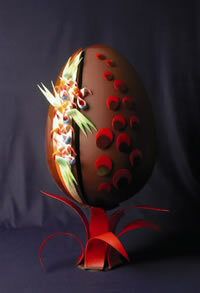 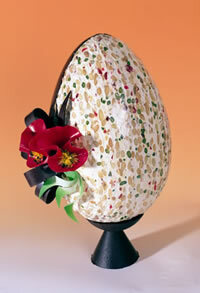 The body is made with small marzipan strings, which are braided and then coloured. 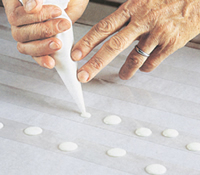 Tonti points out that, it is better to mould without using icing sugar, because it tends to dry up the marzipan too much. 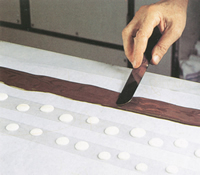 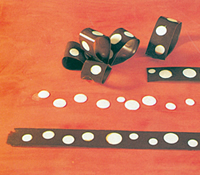 All the elements are finally combined with syrup at 28°Bé, with the different parts painted carefully. 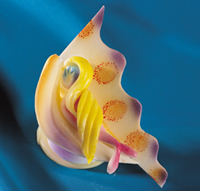 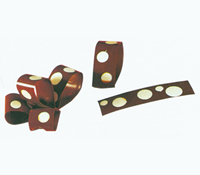 Also in the case of sugarpaste or plastic chocolate versions, Eliseo Tonti offers some creative suggestions to play with shapes and shades, obtaining a suggestive three-dimensional effect with the superimposition of more wings.